At kliniek, we specialise in hair transplantation as a permanent solution to baldness for both men and women, and employ the latest and most successful methods ideally suited for all baldness and hair loss problems. A private, discreet hair clinic, Kliniek Veldhoven offers a very high standard along with the widest choice. 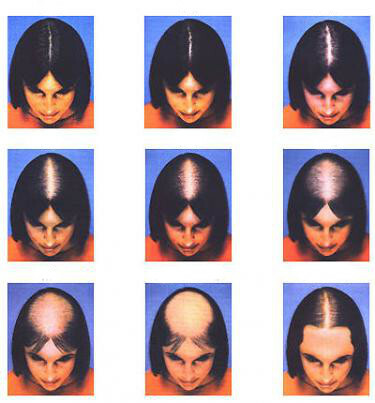 Only the latest innovations and developments in hair replacement and hair transplant technologies are used. Sympathetic staff is on hand for every step of your procedure once it has been chosen, and guarantee a high level of comfort and support during any process. Offering a permanent solution to hair loss, the Kliniek Veldhoven has a great track record of providing the best care and after care to ensure, not just permanent, but great results every time. Our aim is to provide an individually tailored approach in every case we take, as we find this approach leads to the best results. Put simply, our goal is to help you solve your hair problem, no matter what this problem is, and however large or small. One of the latest technologies which has quickly become popular is the ‘FUE’ technique. Suitable for many cases of hair loss, and achieving excellent results, FUE (Follicular Unit Extraction), is very labour intensive, but gives permanent, natural, undetectable results. Hair follicles are individually lifted out from other areas and ‘re-planted’ where needed. A special, tiny hollow needle is used, and an operation under local anaesthetic gives the surgeon time to harvest enough hairs for transplant elsewhere. The FUE method is also very good for eye lash transplants, which can be used to replace lashes missing due to burns, accidents or hair loss problems, and can also be used to thicken fine lashes or increase the number of lashes already present. The same procedure can be used to augment or reconstruct eyebrows. 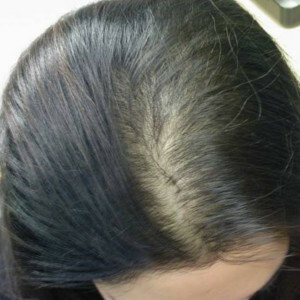 We have also undertaken extensive work and research into Female baldness, so we can tailor the best treatment for the unique set of problems Female baldness brings. We also specialize in reconstructive transplantation due to operations or accidents, and we can go a long way towards restoring hair in a natural and balanced way. With a fully equipped clinic, every case is thoroughly assessed and planned out, which means better results at an affordable price. Every procedure is explained clearly, thereby taking the stress out of any procedure, and minimising the stress that the hair loss and baldness has already caused. In addition, we have established and tested the FUT method of hair transplantation, as this is sometimes better for certain types of restoration or transplantation work. It is also less labour intensive and therefore less expensive than FUE, making it a very good choice for certain problems. A very successful and well known clinic with a great reputation, Kliniek Veldhoven’s secret is its depth of experience and its considered approach, which means quality hair transplants at an affordable price. Fully trained expert auxiliary staff back up our medical staff and offer a high level of service and a personal touch, which is highly valued by all of our patients. The comfort and well-being of our clients is our top priority. Our specialists are very experienced and familiar with all hair transplantation techniques. Which method or technique is the most suitable is discussed extensively beforehand. We offer a full free consultation, where all potential options will be explored, which is without obligation, although we are confident that the advice we will give you is the best available anywhere. As Kliniek Veldhoven is part of the clinic for plastic surgery group – ‘Kliniek Veldhoven’, we can also refer clients for other treatments, or work in tandem with other procedures that are being carried out along with hair transplantation. Whatever your needs, we aim to provide you with a comprehensive picture of the options for hair restoration treatment and transplantation.